A marriage is a lifetime union that need to bring life and joy to the lives of those involved on daily basis. This however is not the case in many marriages across the world today. This is because husbands and wives take each other for granted and fail to keep things into accounts that are likely to bring life into their marriage. Giving out gifts to each other is one effective way to keep marriages intact and lively. When planning for your family’s budget, it is advisable to budget for your partner’s gift as well. In addition, personalize the gift to make it more special and meaningful to your husband. You can search thousands of gifts ideas for men online and browse website that offers gifts for husbands to know what is in trend these days. 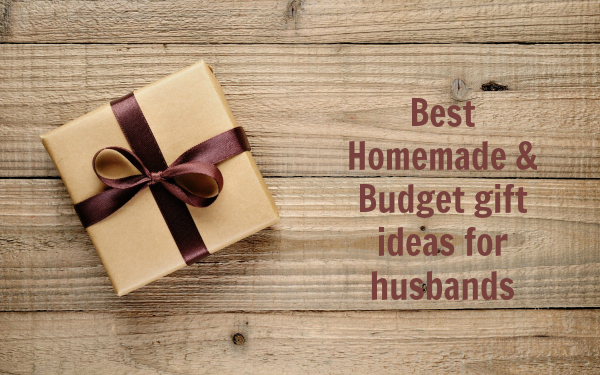 Different incredible gifts which you can budget for to award your husband should be determined by a number of factors. Most men are sports fanatics. They support certain teams in football or cricket among others. Therefore, you should investigate your husband favorite sport and if possible favorite player and gift him a customized jersey. This makes him delighted and develop a feeling that you knows and understand him better hence more love and family unity. Most women try to separate men and sports which isn’t a good choice. There are particular times that acts as special and unique moments in the lives of married couple. These moments should be always recorded and as they bring joy and refreshment to the lives of couples. By taking your husband through these moments, be sure it a perfect gift that reignites his love for you. Watch his favorite movie with him, browse some of your old photos and notes and discuss them in details. For instance, you can watch photos of your outing among others. In case you do not plan to take your husband out for fun, you can gift him with his favorite food at home. Make the food special by adding details like new cutlery and tablecloth. Get dressed like you do for an occasion. Things as simple as drinking cold drink while sitting together makes huge differences. Ask him about his work in non-annoying way. This makes your husband happy, appreciative and as well rekindles his love for you. It is evident that gifts are perfect elements to keep the family together and keep the spark alive. You don’t need to purchase expensive gifts for that. It’s not the cost of the gift but the way you give it counts. So make it a habit of yours to regularly give your husband some gifts and keep your marriage in top shape.